On Friday I finally made the Khichidi again. That was after many weeks absence and thought it was agreed it was going to be part of a regular Saturday menu. I am a person who never bored with routine. But looks like even I have skipped my Menu Planners. This results in dire situations when I am frustrated not to know what to cook. Then I had to resort to the life saver the Khichidi. Yes I am yet to blog on that. Will get around doing it someday. Having done this on Friday, I realized I had nothing for Saturday. So it was Sambar Vada. Remembering that I am planning to take up my diet regime again seriously, wanted it to be a low calorie one. Sunday was wonderful. The breakfast was the usual Channa Masala with Poori. Then seeing Konda not being best of her health, hubby dear said he will take us for the beach. The rounds of applause and the roaring sounds that followed would lead anyone believe that we don’t take the kids anywhere, which is not the case. Still with a outing in question they were so excited. The day promised to be very cool. So we set out for an outing to the beach. Kids took their footballs to play on the beach. Seeing the horse flying by, they were eager for a ride. But after their return, Konda and Chinnu declared they don’t like the horse ride, as the ride was very fast and they were jostled so much that their back ached. Soon it turned to be very windy, we decided to leave after spending couple of hours. Rest of the day just passed in a blur, I went to help Amma cook for our relatives who came for dinner. Back to the Sambar Vada that I made on Saturday, I wanted to try making it low cal as it was anyways going to be dunk in Sambar. I ground the batter for Medu Vadas same as always in the mixer. But anytime grinding it in the grinder gives you a Medu Vada that is soft and fluffy inside and crisp on the outer. I confirmed this when I ground the batter on Sunday for our guests. 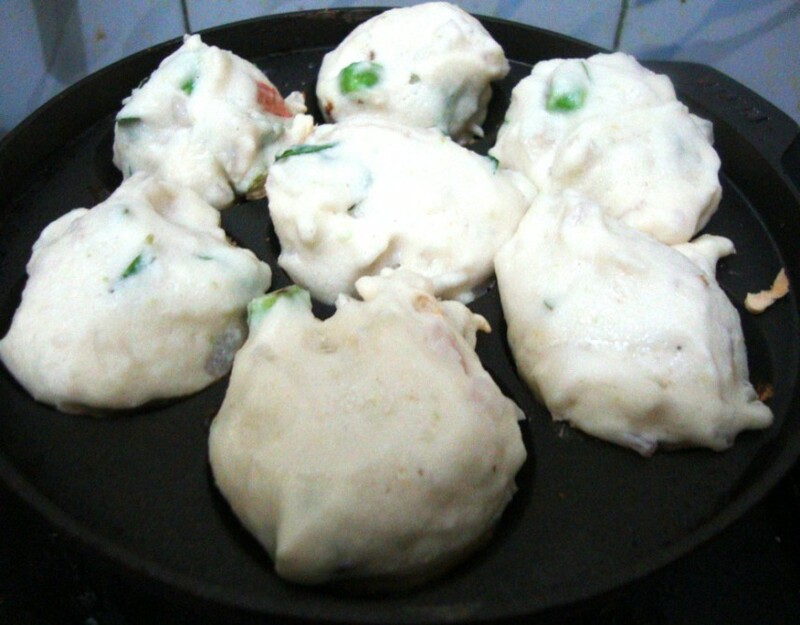 If you are using the Mixer to grind and want to use the Appey Pan for these Low calorie Vadas, I suggest you add a pinch of cooking soda or allow it to get more water once you add the onions. I knew the difference as I made the vadas first time without any of those Onions for the kids. They were a bit hard. But since you soak these in hot sambar for a while, they become soft and taste the same, well almost! I can vouch that the taste was the same, except you won’t get to feel that crispy outer skin that you normally associate with deep fried vadas. I will have to get around the sambar somebody other day! Once the vadas are fried, soak them in hot Sambar for making them get all soft. I follow the same procedure for making cabbage vada using adai batter and gram dal vada which comes out very tasty, love the clicks 🙂 …appey pan is a blessing isnt it ? :)…do u also call it Appey Pan? mouthwatery recipe with nice presentation. 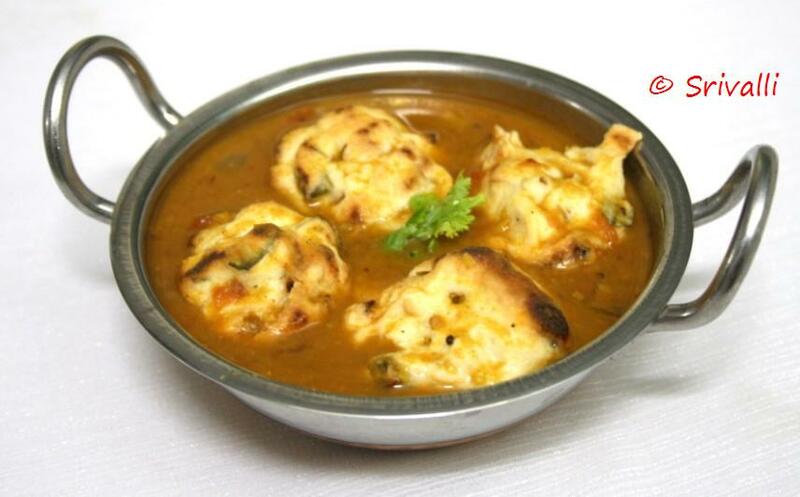 Super delicious sambar vada, definitely a guilt free snacks..
That is such a great idea dear. Interesting recipe, love the Low calorie vada. Nice, easy and inviting recipe. Thanks for sharing. I have tried this Vadas at the Indian restaurant, but this looks healthier version. Pictures are great! 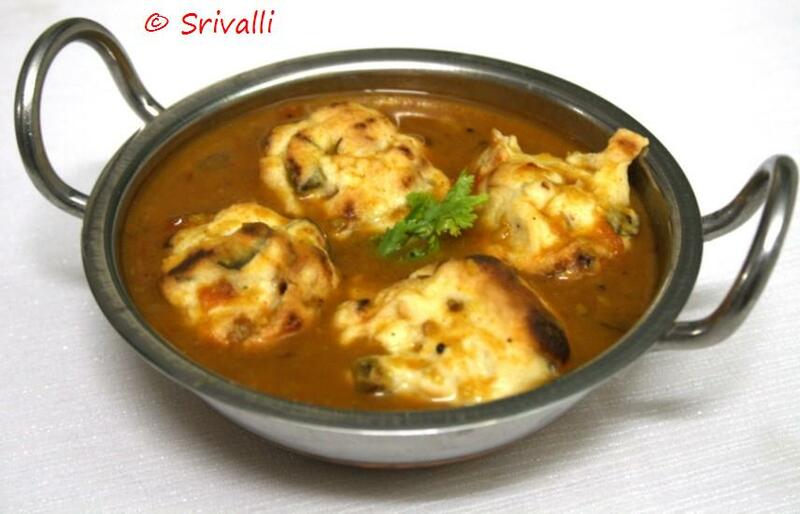 Lovely and comforting treat Srivalli. Thank you for sharing this new recipe of low cals with us. 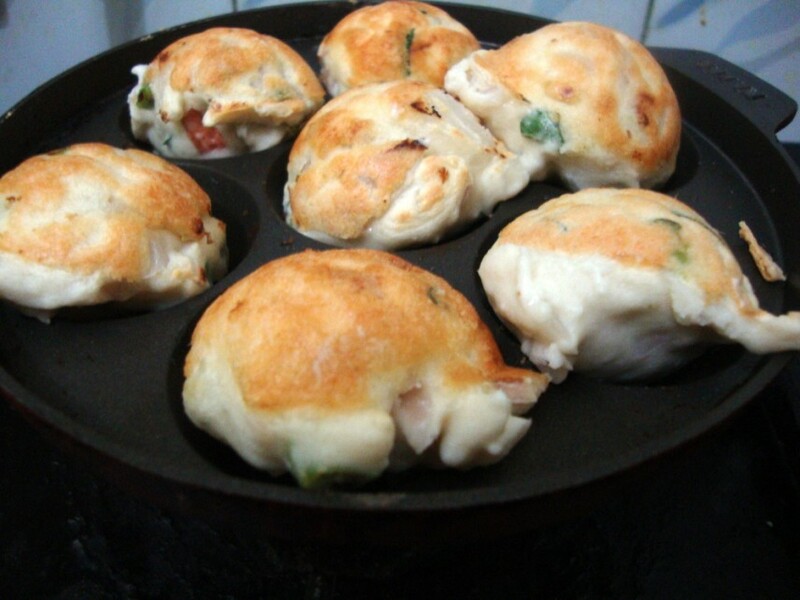 It's nice that you've trimmed down so many calories by making the vadas on an appey pan! Great idea!